The Nightmare Affair by Mindee Arnett is out today. "I think you need to read this..."
I was tired and overworked at said conference and I was supposed to leave for New Zealand for my first vacation in forever to visit my sister (who was there picking kiwis, I kid you not). 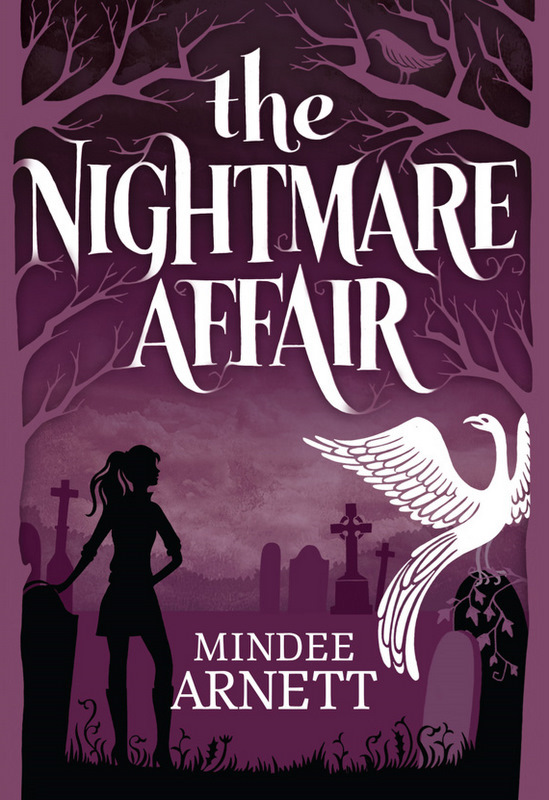 But I trusted Sarah so I opened up The Nightmare Affair, thinking I would read a little and see what I thought. Several hours later, I was finished. And I thought: If I don't work on this book I will die. I called Mindee on Monday before I left for New Zealand and gushed about how much I loved this book, then I checked my email as obsessively as New Zealand's internet cafes would allow until I received the email from Mindee saying she wanted to work with me too. Then I enjoyed the rest of my vacation. I am beyond excited that this book is out in the world today for other people to love it as much as I do. Dusty is more than just a character. She's amazing--I want her to be my best friend. I'm so excited for Mindee. I got an ARC for my interview with her on 3/18 at Literary Rambles. I couldn't put it down. Such a unique story. I can't wait to share it with our followers. I heard great things about it from book bloggers. I'll probably read it soon because the blurb hooked me. :).